Given that there are more and more cloud mining companies on the market, many of which can easily be described as nothing short of a scam, reaching the point at which you are deciding between two reputable and reliable companies is already a success. 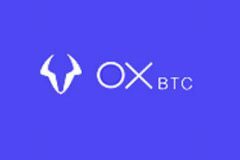 This OXBTC VS Bitminer comparison allows you to quickly decide which one to go with, based on precise and objective ratings. The comparison presented here is based on three major criteria. The first criterion is transparency, which is considered to be an indicator of the legitimacy of the given companies. The second criterion is reliability, reflected in the availability of advanced mining equipment, stability of the payout system, and overall performance. The third criterion is profitability, where extensive testing and complex calculations are required in order to provide an accurate assessment of the potential for high profits. Based on the level of transparency, reliability, and profitability that characterizes each company, we assign aggregated, total scores which are compared in order to determine which company offers better overall service.